These are the most common insurances accepted by Dentists in Grand Rapids, MI. I called around to see how much dentists charged for X-rays and found this dentist to be a fair price so I went in to his office to be looked at. When all was said and done the price I paid was over what was quoted. I would not recommend this dentist. I went in for a checkup on a tooth and he told me that drinking milk causes my teeth to decay and that I needed about $5,000 worth of work done on my teeth. He showed me 4 pictures of my teeth and pointed out what he thought were major problems and he told me that his pricing is in the middle of all dentists in the area. I then asked if I could take home and review the x Rays I paid for and his Assistant said no I did not pay for those ex rays. 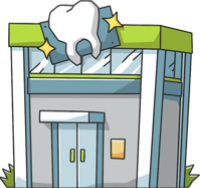 (He tried to scare me into paying thousands of dollars in services)It turns out I have a few cavities; I have a real uneasy feeling about this dentist and believe he is trying to overcharge.. I used to work near his office, started going to Dr. Wildern 27 years ago. Now I am 45 minutes away but still make the drive. Very good and caring dentist, friendly staff. Prices seem reasonable, but I haven't really comparison-shopped. Very nice office.. Nothing but the best at this office. I’ve been going there for 30 years and I know that I’m receiving the best care. The staff is awesome and Dr. Wildern and his staff take the time to answer any questions I have. The work on my teeth is always premium quality. Can’t say enough good things about this office.. Thank you to Dr Carroll and staff. Two crowns this morning and for someone that is freaked out by any dental work, they did a great job. Thank you again!!. I would definitely recommend Carroll Family Dentistry. They are the best! They treat 3 generations of my family and I am sure they will be treating future generations. Everyone in my family loves both Dr Carroll and Dr Davis. I can't say enough about how great they are. The dental hygienists are excellent as well..